Howard R. Fradkin was featured on The Oprah Winfrey Show, “200 Men: Male Survivors of Sexual Abuse,” which aired in 2010. COLUMBUS, OH, October 05, 2018 — Marquis Who's Who, the world's premier publisher of biographical profiles, is proud to present Howard R. Fradkin with the Albert Nelson Marquis Lifetime Achievement Award. An accomplished listee, Dr. Fradkin celebrates many years' experience in his professional network, and has been noted for achievements, leadership qualities, and the credentials and successes he has accrued in his field. As in all Marquis Who's Who biographical volumes, individuals profiled are selected on the basis of current reference value. Factors such as position, noteworthy accomplishments, visibility, and prominence in a field are all taken into account during the selection process. Since 2017, Dr. Fradkin has been a psychologist and business partner at Collaborations Training LLC. Prior to this appointment, he spent over 30 years as the co-owner and a psychologist at Affirmations: A Center for Psychotherapy and Growth in Columbus, OH from 1982 to 2017 and as a partner emeritus from 2013 to 2017. He has also been a psychologist and trainer at Healthy Minds Group since 2016. At the Southeast Community Mental Health Center in Columbus, OH, he was a psychologist from 1982 to 1983 and a clinical counselor from 1981 to 1982. From 1980 to 1981, Dr. Fradkin was a senior counselor at the State University of New York at Fredonia. His first professional role was as a psychology intern at the Ohio State University Counseling and Consultation Service in Columbus, OH from 1979 to 1980. At the MaleSurvivor Weekends of Recovery Program, he held such posts as the co-chairperson from 2010 to 2017, on the leadership team from 2014 to 2017 and a chairperson from 2001 to 2009. Additionally, Dr. Fradkin has been the facilitator emeritus at the MenRecovering Weekends of Recovery since 2018. From 1984 to 1987, he was the administrator of director support services at Columbus AIDS Task Force. He was also the support services coordinator at the Ohio AIDS Coalition from 1987 to 1992, where he was chairperson from 1989 to 1992. He also serves as a psychological consultant for the Ohio Public Defenders Office specifically offering evaluations and testimony in death penalty trials for men with trauma histories. Throughout this impressive career, Dr. Fradkin has had numerous noteworthy accomplishments. He was featured on The Oprah Winfrey Show, “200 Men: Male Survivors of Sexual Abuse,” a two-part show that aired in 2010 where he appeared as the only expert speaking about the dynamics of male survivors and abuse recovery. He considers this to be the highlight of his career. Dr. Fradkin's academic career began at Temple University where he earned a Bachelor of Science in recreation and leisure studies in 1974. He continued his studies at Temple University, earning a Master of Science in therapeutic recreation in 1978. Ultimately, he attended the University of North Carolina where he graduated with a Doctor of Philosophy in counseling psychology in 1980. Furthermore, he is licensed in Ohio as a psychologist and an independent chemical dependency counselor. Though he originally wanted a career in therapeutic recreation, he was interested in sexuality because at the time he was coming out as a gay man and recognized the need for support in the gay, lesbian and bisexual community. While at the University of North Carolina, he notably participated in the Human Sexuality Information and Counseling Service. Dr. Fradkin's involvement in the community outside of his work extends to membership in the National Gay and Lesbian Task Force, the Association of Gay and Lesbian Psychologists, and the Society of Psychological Study of Gay and Lesbian Issues. He is also an advisor at menhealing.org and a member of the American Psychological Association. Other organizations Dr. Fradkin holds membership in include the Ohio Psychological Association where he was given the Achievement Award for Public Interest in 2005, and the National Organization of Male Sexual Victimization, where he was on the board of directors from 1994 to 2001, president from 1998 to 2001, treasurer from 1999 to 2001 and co-chair of Weekends of Recovery from 2001 to 2017. Throughout the years, Dr. Fradkin has authored numerous works in his area of study. With J. Struve and L. Beckstead, H.R. Fradkin wrote “Beyond the gay/straight binary: Gender and/or sexually diverse male survivors” in 2018. That same year, he penned “Understanding the sexual betrayal of boys and men: The trauma of sexual abuse” with J. Struve. He also authored “Empowering Male Survivors to Heal through Community and Peer Connection.” Additionally, he has been published multiple times in Paradigm Magazine. Dr. Fradkin wrote “Joining Forces: Empowering Male Survivors to Thrive” in 2012 and was a columnist for News for the Gay and Lesbian Community from 1984 to 1986. He also wrote for Good Times from 1987 to 1988, New Voice from 1988 to 1989, Stonewall Union Reports from 1991 to 1997 and Outlook from 1998 to 2002. He also wrote a chapter called “Counseling Men in AIDS Crisis,” which was published in the Handbook of Counseling and Psychotherapy with Men in 1987. For all of his astounding accomplishments, Dr. Fradkin received the Columbus Mayor's Commendation for Male Survivor Recognition Day in 2012. He was named in Biltmore Who's Who in 2010, earned the Faye Honey Knopp Award in 2010. In 2007, he was awarded by MaleSurvivor for Outstanding Contributions to the Field of Treatment for Male Survivors of Sexual Abuse. The Association for Gay, Lesbian and Bisexuals Issues in Counseling recognized Dr. Fradkin as a Legal Inaugural Fellow. Dr. Fradkin was awarded the Achievement Award for Public Interest by the Ohio Psychological Association in 2005, is in the Nationwide Register of Who's Who in Executives and Business in 2002, was given the President's Award of Appreciation of Service by the National Organization on Male Sexual Victimizations in 2001 and the Ohio Psychological Association Special Projects Award in 2001. Other awards that have been presented to him include the Gay, Lesbian and Bisexual Community Leadership Award in 1997, being listed in the American Directory of Who's Who in 1997 and 1998, the Spirit of Healing Award from the Ohio AIDS Coalition Leadership Award in 1996 and the Ohio Department of Health Director's AIDS Service Award in 1988. Dr. Fradkin has previously been featured in Who's Who in the Midwest, Who's Who of Emerging Leaders in America, Who's Who in the World, and Who's Who in Medicine and Healthcare. In recognition of outstanding contributions to his profession and the Marquis Who's Who community, Howard R. Fradkin has been featured on the Albert Nelson Marquis Lifetime Achievement website. Please visit www.ltachievers.com for more information about this honor. 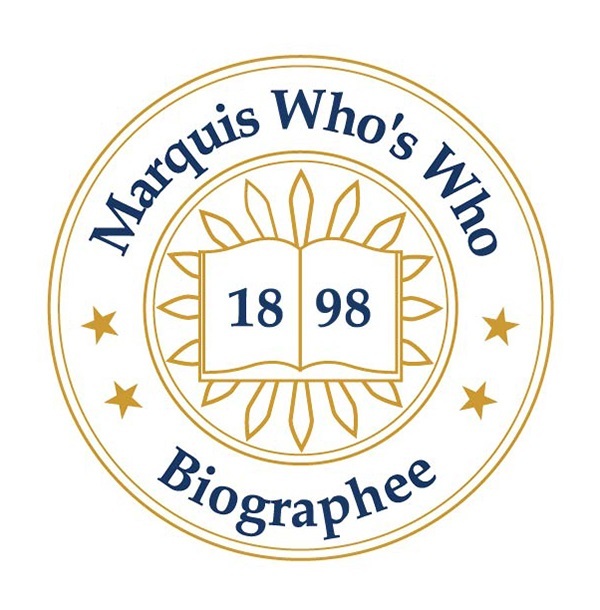 Since 1899, when A. N. Marquis printed the First Edition of Who's Who in America®, Marquis Who's Who® has chronicled the lives of the most accomplished individuals and innovators from every significant field of endeavor, including politics, business, medicine, law, education, art, religion and entertainment. Today, Who's Who in America® remains an essential biographical source for thousands of researchers, journalists, librarians and executive search firms around the world. Marquis® now publishes many Who's Who titles, including Who's Who in America®, Who's Who in the World®, Who's Who in American Law®, Who's Who in Medicine and Healthcare®, Who's Who in Science and Engineering®, and Who's Who in Asia®. Marquis® publications may be visited at the official Marquis Who's Who® website at www.marquiswhoswho.com.